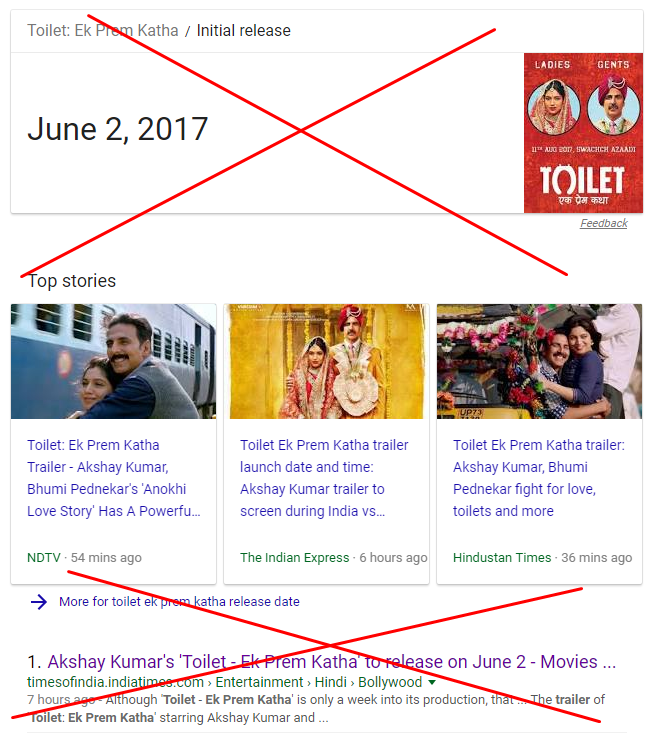 Google is showing the release date of Akshay Kumar’s film ‘Toilet: Ek Prem Katha’ as 2nd of June which is wrong information. The data is most probably crawled using a false news published on Times of India. However we are revealing the correct release date of the film as 11th of August. Its very much predictable by the movie critics and Reporter Times team that Akshay Kumar will release his next film on 11th of August since he loves to release movies near the Independence day. So the date of release of ‘Toilet: Ek Prem Katha’ is now finalised to 11th of August. Trailer released two month before the actual release on 11th of June which is ideal practice in the industry. Even in the official trailer the date has been mentioned as 11th August not 2nd of June which is a past date. Watch the trailer now: It’s time to be a part of Keshav and Jaya’s anokhi love story! Presenting the trailer of Toilet- Ek Prem Katha. In the trailer we can see desperate bachelor fallen in love with Jaya and got married with her. Coming from an educated family, Jaya found it shameful to go riverside for bathroom. She eventually left him after household fights. Keshav’s father is not ready to build a toilet because he thinks it will destroy the holiness in his house. The entire village started opposing this decision. 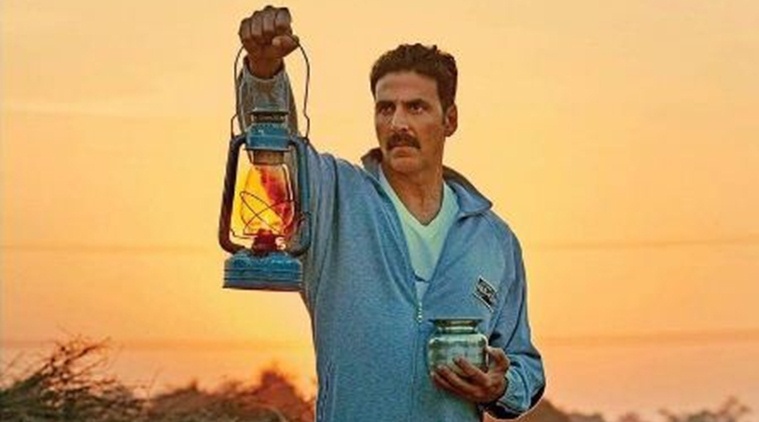 The rest story follows how Akshay Kumar aka Keshav fights the odds to build a brand new toilet in his house. ‘Toilet: Ek Prem Katha’ is going to release on 11th of August.